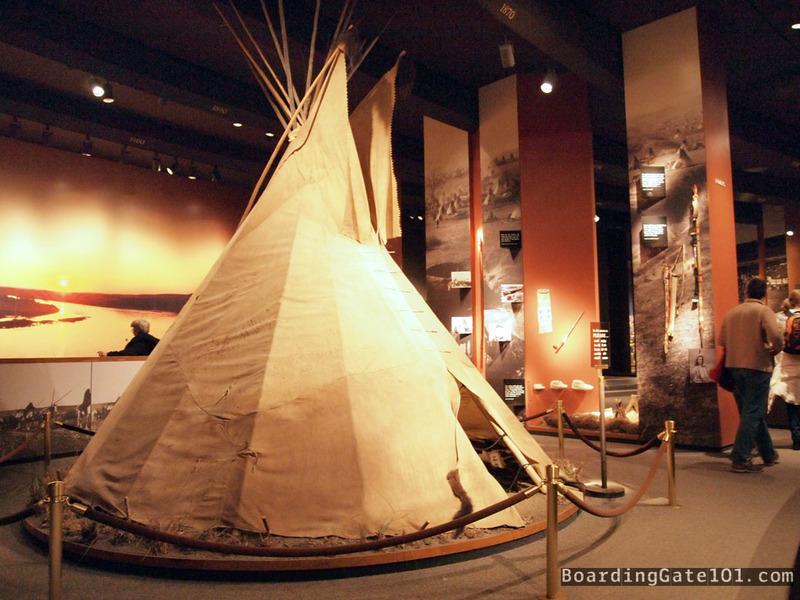 One of the exhibits in the Museum of Westward Expansion in St. Louis is an authentic tipi of the semi-nomadic Plains Indians that once roamed the Great Plains. A tipi (or teepee) is a conical tent typically made of animal skin, either buffalo or bison, wooden poles and rawhide ropes. 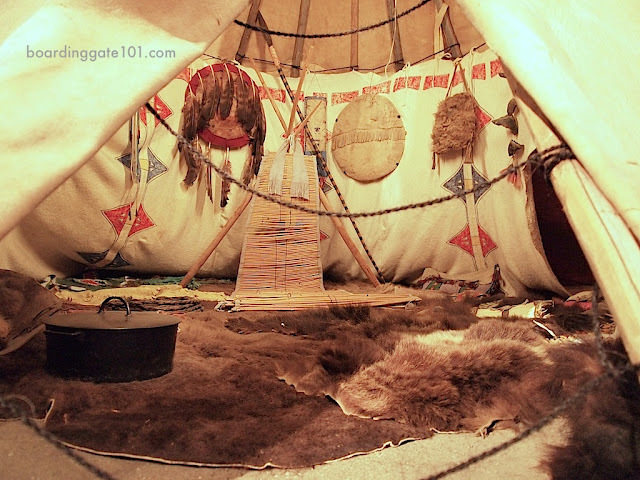 The interior of a tipi (or teepee) was usually decorated with images of vision quests, battles or celestial bodies important to the tribe. Most of the implements and tools are hung along the sides with ropes, and a fire may be set at the middle of the tipi for cooking and heating. Tipis can be disassembled quickly, especially when the tribe needs to leave the temporary settlement in a jiffy, perhaps like when cowboys arrive.